Sometimes we try to complicate life by starting exercise regimes that are too difficult. This practice can often lead to us becoming discouraged and more likely to quit when we don’t achieve perfection right away. We overlook the simplicity in achieving good physical health. We make our health about complex fitness classes and obscure dieting fads. Tired of giving up? Tired of feeling defeated? Go back to basics. Just as in martial arts, life doesn’t start with a black belt. We need to remember the fundamentals of classic exercises. It takes practice and consistency to get better….and even when we get our black belt, we can’t forget the simple movements that our entire curriculum is based on. If you’re looking to be more physically fit, try incorporating these exercises into your daily routine. Getting up from your desk a few times a day and touching your toes will stretch your leg muscles, your shoulders and back muscles. A short walk at lunch can brighten your mood and increase your strength and balance. Push-Ups are a great full-body exercise – and you don’t have to start with a hundred. Start with 10 and work your way up from there. And, if you have to start from your knees (we do NOT call them girl push-ups because of well, you know, feminism), go for it! Practice and you will see improvement every single time! Keep it simple. Keep moving! Try to do a little bit each day. Have fun! No need for equipment. No need for a gym membership. 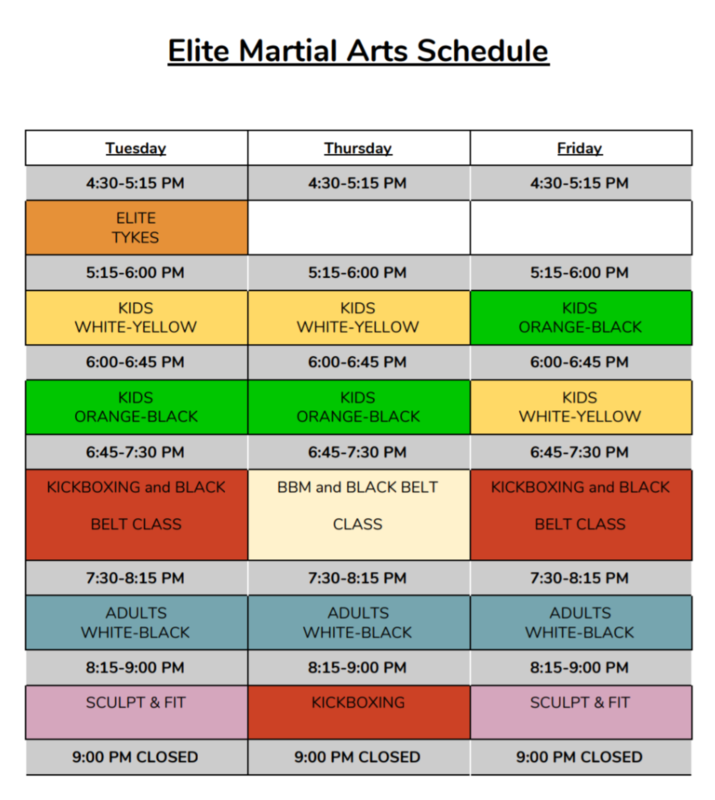 Try this all at home (after consulting a health professional) or even better – join us at Elite Martial Arts & Fitness.